Moyra Davey is an acclaimed photographer, writer, and filmmaker based in New York. This exhibition presents notable projects that Davey has undertaken with John Goodwin since 1993. Through an understated approach to photography and video, as well as her insightful critical writing on photography, she considers the meanings carried in everyday objects. This exhibition provides an overview of her practice with early works including the multiple Money Box (1993), published by Shark Editions, New York, photographs from her Newsstand series (1993-94), Bottle Grid series (1996-2000), and video works. For her 2007 exhibition at goodwater in Toronto, she began producing photographic mailers that carry the physical traces of their journeys through the mail system, a practice that has continued for subsequent exhibitions. She has mailed over 1,000 photographs across the world. 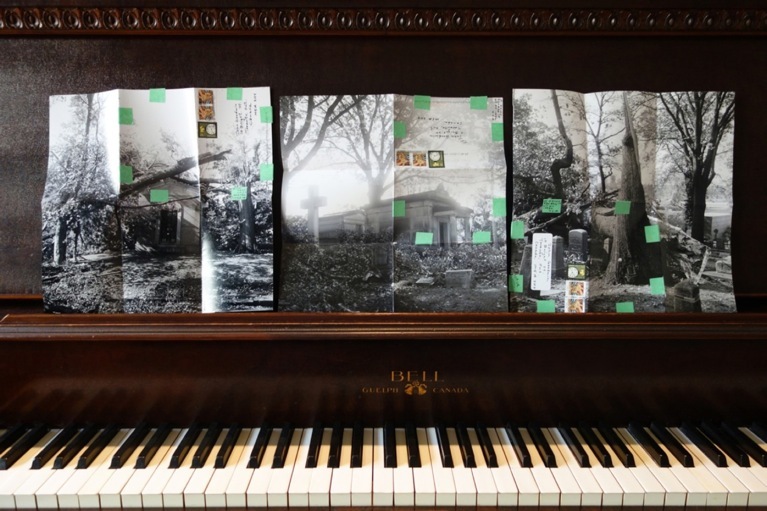 A new set of mailers – 27 folded photographs taken in Trinity Church Cemetery in upper Manhattan – will be featured in the exhibition. 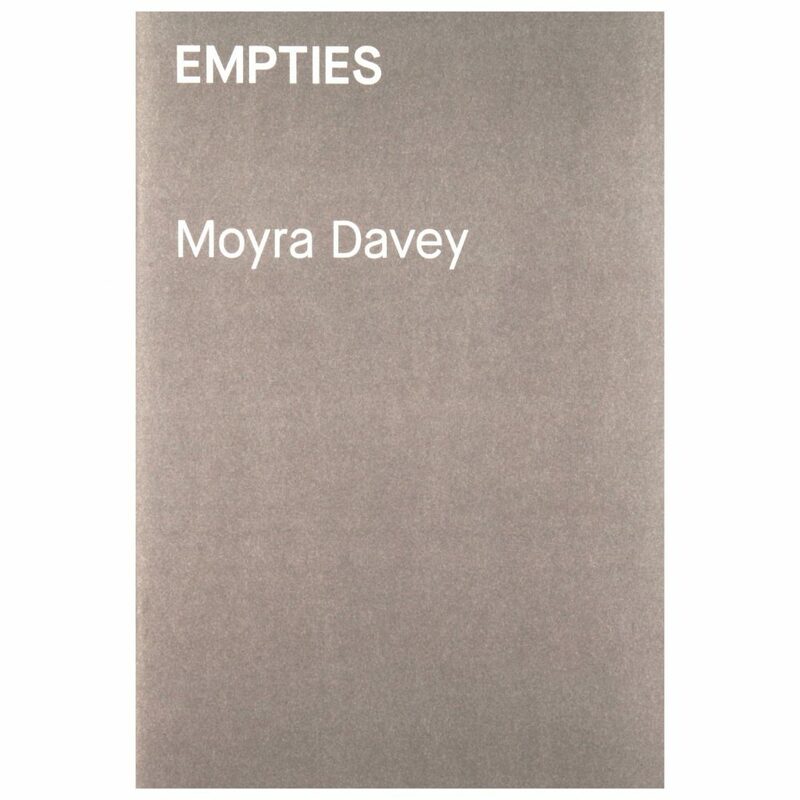 Ornament and Reproach is accompanied by the release of a new Moyra Davey publication and limited edition titled Empties (2013), a 36-page book documenting a selection of the photographs from the artist’s Bottle series. The edition includes a signed artist book with a single print from the Bottle series and a exhibition checklist. The print and checklist are inserted into the publication, suitable for framing. Born in Canada, Moyra Davey studied photography at Concordia University and the University of California. She has an extensive exhibition history, including Tate Liverpool (2013), Whitney Biennale (2012), Kunsthalle Basel (2010) and Fogg Art Musuem (2008). Publications by Davey include Copperheads (Bywater Bros. Editions, 2010), Long Life Cool White (Yale University Press, 2008), and The Problem of Reading (Documents Books, 2003). Her works are in the collections of the National Gallery of Canada, Ottawa; the Art Gallery of Ontario, Toronto; Metropolitan Museum of Art, New York; Tate Modern, London; the Solomon R. Guggenheim Museum, New York; and the Museum of Contemporary Art, Los Angeles. 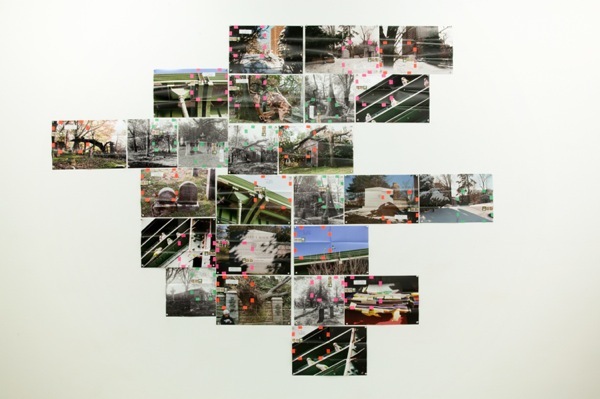 Moyra Davey is represented by goodwater, Toronto and Murray Guy, New York. John Goodwin has been operating goodwater, Toronto since October 2001. The Gallery was originally formed with Roger Bywater, but since 2006 it has been under the direction of Goodwin, presenting exhibitions by artists such as Rodney Graham, Mark Dion, Garry Neill Kennedy, Steven Shearer, Moyra Davey and Jeremy Deller. He was the executive director of Printed Matter, Inc., New York from 1988 – 1993 and Shark Editions from 1990 - 2001. From 1983 – 1988 and 2000 – 2001 Goodwin was the executive director of Art Metropole, Toronto. Satellite Gallery is a Michael O’Brian Family Foundation project with partners the Morris and Helen Belkin Art Gallery and the Museum of Anthropology at UBC, Presentation House Gallery and the Charles H. Scott Gallery. Moyra Davey public programs are presented in collaboration with Emily Carr University and Scrivener's Monthly, Western Front. Moyra Davey, Ornament and Reproach, 2012-13, 25 folded mailers, each unique, B&W and colour, postage, tape, various sizes, courtesy goodwater, Toronto and Murray Guy, New York. Moyra Davey is an acclaimed photographer, writer, and film-maker based in New York. 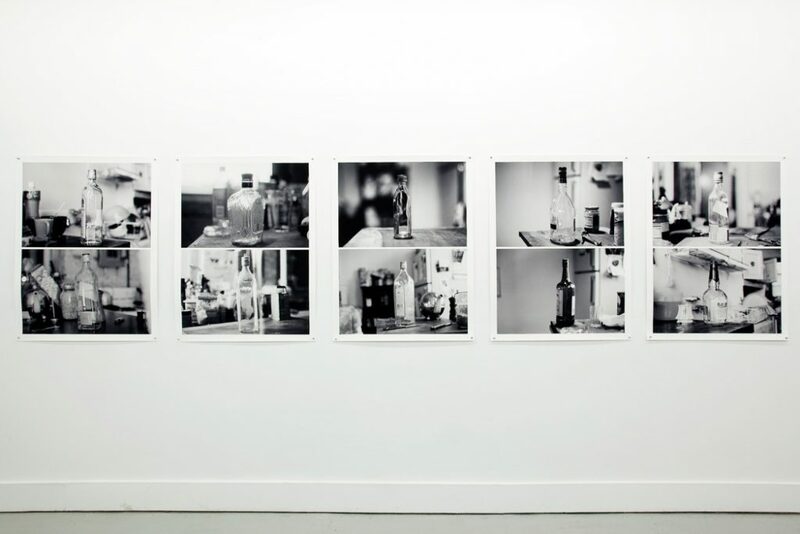 Empties, a new artist book documents a selection of the photographs from the artist’s Bottle series. Published on the occasion of the 2013 exhibition Moyra Davey: Ornament and Reproach, curated by John Goodwin.